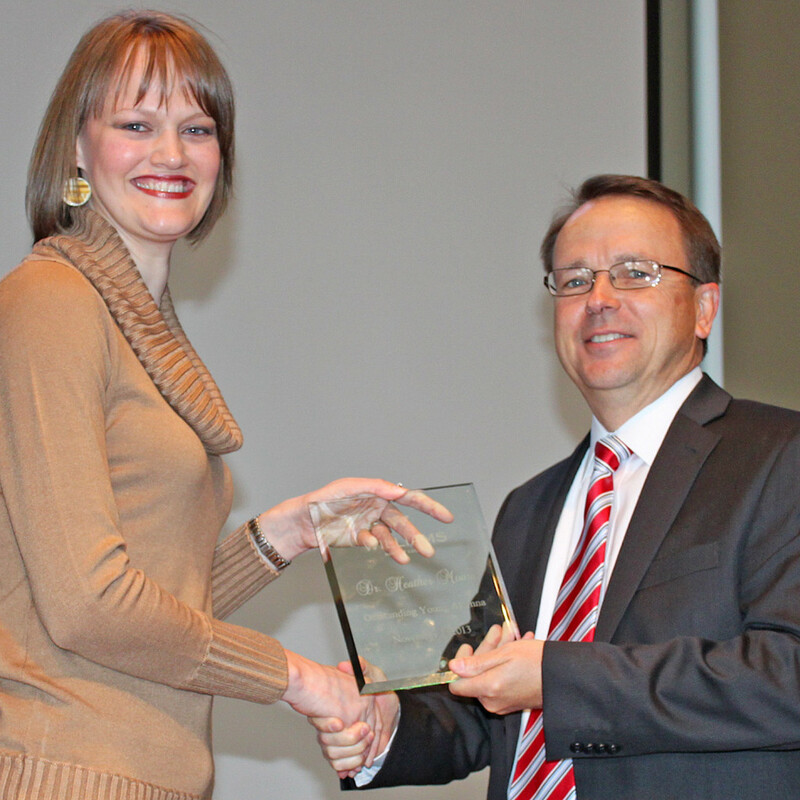 Dr. Heather (Delahunt) Moore was named WBC’s 2013 Distinguished Young Alumna during Saturday’s Homecoming/Parents’ Day festivities. Moore obtained a Bachelor of Science in Psychology from Williams in 2003. While at WBC, she was an active member of Psi Chi and Sigma Tau Delta, international honor societies for psychology and English, respectively. She completed her pre-medical studies at the University of Central Arkansas, and she continued her education at the University of Arkansas for Medical Sciences College of Medicine, graduating with Doctor of Medicine in 2011. While in medical school, Moore received the Neuroscience Award and was selected to the prestigious Alpha Omega Alpha Honor Medical Society as a junior. She also took time out from studying to marry her husband, Jacob, in 2008. Moore is currently completing her residency in Internal Medicine at UAMS. She has been selected as a Chief Resident for the 2014-2015-residency class and hopes to pursue acareer in hospital medicine and palliative care. She and Jacob live in Cabot, where they are members of Mt. Carmel Baptist Church.